The Hyatt Regency Schaumburg is holding a block of rooms for those attending. The hotel offers a special rate for Show attendees: $121 per night. This rate applies to rooms with two double beds and to rooms with one king bed. To ensure placement at the Show rate and with fellow collectors, the hotel must receive reservations by August 24, 2019. Anyone who has reserved a room and has to cancel should contact Roger Garfield so he can put another collector in that room at the Show rate. This can be done right up to the week of the Show. 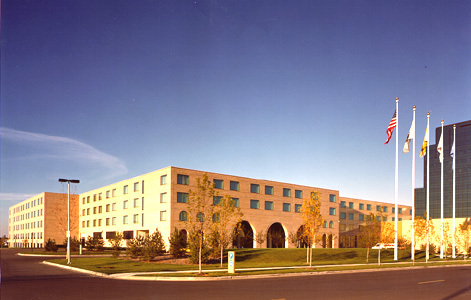 Phone: Guests may call the Hyatt Regency Schaumburg directly at 847-605-1234. Reservations may also be made by calling the general reservations number for Hyatt Hotels at 877-803-7534. Please give the reservations agent group code “G-CTS9” in order to be placed in the Chicago Toy Soldier Show group block and to receive our Show rate. Two Hyatt Grand Double Beds with contemporary, rich earth tones will relax you the moment you arrive. 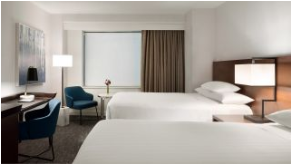 Hi-tech features to increase productivity during your stay include flat panel television, high-speed wireless access, in-room safes and iHome™ docking stations. Relax and refresh yourself with calming rain showerheads. The guest bathroom also boasts natural stone countertops and Hyatt KenetMD amenities. King room accommodations feature contemporary, rich earth tones designed to enhance creativity and energy. 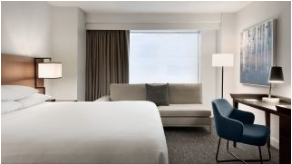 Hi-tech features to increase productivity during your stay include flat panel television, high-speed wireless access, in-room safes and iHome™ docking stations. Relax and refresh yourself with our calming rain showerhead. The guest bathroom also boasts natural stone countertops and Hyatt KenetMD amenities. And of course, sleep soundly and comfortably in a Hyatt Grand Bed™. You must cancel your reservation 48 hours prior to arrival date, otherwise one night room & tax will be assessed to your credit card. Children aged 18 years or younger will stay free of charge in their parents room.